The Duplex pump designed for pumping liquids, operates on the solenoid principle. Motion occurs when the coil is energized with unidirectional impulses created by an alternating current passing through a diode. 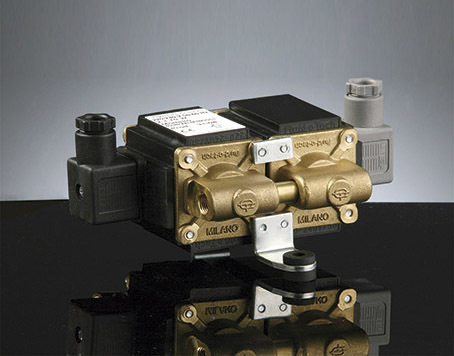 The Duplex pump is brass made with threaded female 1/8” inlet and outlet ports, while the ball valves are in glass/EPDM. The piston working inside a brass tube is in stainless steel. The pump may be mounted in any orientation on shock absorbing supports for the quiter operation.